To access the Remembering Lemuria Online Course please click here. I listened and loved it. As soon as you come in with your toning I start crying. My whole body vibrates with energy coursing through it. I’m being cleared and cleansed. I see images of water, colors of blue, I’m taken down to the depths of an ocean floor by a dolphin who is guiding me. As we swim down I see an ancient city and a site where there is a crystal formation. I am gifted a piece of what I think is a Lemurian crystal. As I hold it out and look at it, it’s shines rainbows all over me. It was crazy because every time your voice started in my eyes welled up with tears. There was a deep knowingness connection of remembering. Excited to integrate listening to this daily to see what comes up. Thank you for your gift! A year ago, I would have never ever considered myself a singer. I could dance in front of strangers, but singing – no way – you couldn’t pay me to karaoke. Then, in 2016, I was called to move to Maui to reclaim my past life wisdom and gifts from this land when it was Lemuria. It began in the ocean. I started fluttering my tongue to make a vibration noise as I sang out across the waves, but I knew there was more. I knew I was supposed to sing these Extra Terrestrial tones, and vibrate my throat, but I didn’t know how. In December, I took a trip out to the sunken crater of Molokini where I received a huge activation. The energies were so intense that as I was driving back I started to sing to keep myself awake. I began to use my finger to vibrate my throat. Then all of a sudden, I remembered how to do it without my finger. I could feel something shifting inside me. This started a windfall of changes in my life. Suddenly I was singing in ceremonies and catalyzing the awakening of thousands. This is my wish for you. Meditones are similar to binaural beats. They are precisely tuned frequencies of sound, that when heard with headphones, guide your brain into effortless relaxation and deep meditation. 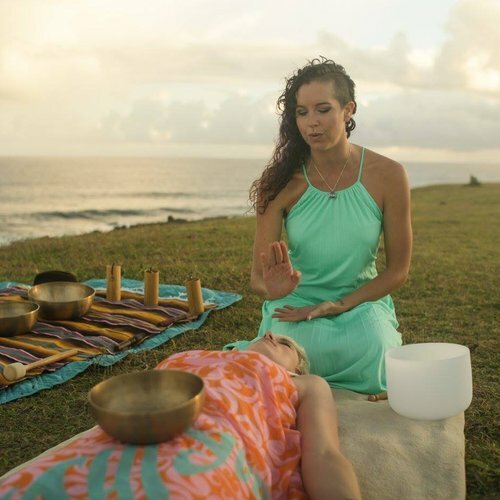 Remembering Lemuria stimulates Theta brainwaves which are the gateway to your spiritual connection with the Universe. This is the mental state where you create your reality. Theta brainwaves give us access to detailed visualizations, ancient future memories, intuition and insight that is usually beyond our normal conscious awareness. 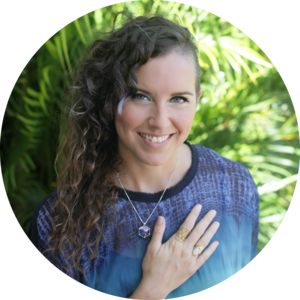 In this track, meditones have been combined with Rachael’s healing vocal tones for a deeply meditative experience that is perfect for beginners or experienced meditators alike. Remember to use headphones for the full meditones effect. Please note, meditones are unsuitable for people suffering from epilepsy or seizures. Artwork with Light Language symbols that I channeled when the tones came through. So much love for your activation, and the powerful magic & medicine you carry within your DNA. Remember who you are. You are more powerful than you think. DOWNLOAD NOTES: Once you complete your purchase, you will receive a link to download a zip file containing all the files. If you are on your phone you can download the FREE Zip File Viewer app to unzip the files and access the mp3s. If you are on your computer you can download and unzip the files, and then add them to iTunes or any other music player. Remembering Lemuria is an incredible gift to the world. The first time I listened to the music, I was taking a bath I could feel layer after layer of traumatic past lives in Lemuria release instantly, without effort. All of my previous experiences with Lemuria had been so idyllic that I had no idea how many challenges I had during my lifetimes there. Rachael’s voice gently guided those past lives out of my cellular memory with ease and grace. Subsequently, I’ve listened to the track while working, and my productivity has soared. The track helps me stay focused on the frequency of my work, and not be distracted by other things around me. It is rare that an album can be great for past life releasing and productivity, but that is the beauty of this offering and Rachael’s voice. I was able to complete three projects in an afternoon that had been weighing on me for nine months! I cannot thank you enough for the beautiful sound track I received a few days ago. I have received so many profound and beautiful images and messages for my Spiritual Growth and to assist me to help heal animals. I am so grateful, beyond words. I just wanted to express some gratitude. I saw your advert for “Remembering Lemuria’ in my newsfeed. I knew immediately that it was something for me. I downloaded it this morning and listened. I had a lot of tears but now I am actually sitting here in front of the computer getting together my own flyer for my own work, which I have been procrastinating over for weeks, months in fact!! I feel excited. So thank you from my heart to yours for this opportunity. I will continue to listen and see what else unfolds. I listened to the meditation this afternoon. It is so beautiful!!! While I was listening to it I felt like I was surrounded by angelic beings. Thank you so much. I bought Remembering Lemuria on a whim, thinking it wouldn’t “do” anything for me, because I’m not one of those “special” souls, but I wanted to support Rachael, and thought the preview sounded beautiful. My first time listening was a beautiful but odd experience- it was so liltingly lovely and calming, and yet I was filled with anxiety and a strong need to be somewhere, doing something. Goosebumps everywhere. The next day, a feeling of having forgotten something of the utmost importance nagged at me constantly, as did a sense of restlessness and a need to be somewhere. After listening a second time, I had a sudden realization regarding a pattern of behavior I’d been following, yet was unconsciously rejected. It was not a comfortable realization, more like a slap to the face, but it was necessary. More pieces have continued to fall into place the last few days, but yesterday was a truly transformative day. I listened before bed the night before, and yesterday, it was as if blinders had been lifted- suddenly all of these things I’ve been struggling with were illuminated, as were the signs that have clearly been there all along, had I not been blind to them. The transformation that has been sparked is so necessary- I’ve been craving it unconsciously all along but have been in denial about so much for so long. The floodgates have opened, and my life will quite literally never be the same. Thank you, Rachael, for sharing this gift with the world. I’d love to hear your feedback! 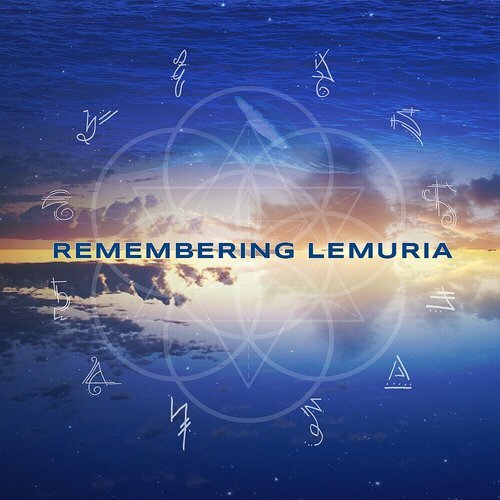 If you’d like to submit a testimonial for Remembering Lemuria you can do so HERE. We are the ones who hold the keys to the new reality. Only by remembering and reclaiming our past can we create the world we all long to see. Listen to my voice. There is more than simple sound coming through. There are Pleiadian and Lemurian activation codes to initiate the multidimensional aspects of your DNA. If you get chills, this is your cellular structure confirming this Truth. Remember your starseed lineage. Reclaim your galactic inheritance. Get still. Listen. Remember. All that you need is inside you.